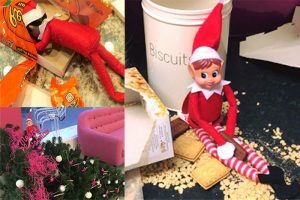 Blog The naughty elf is back! It’s that time of the year again… and that pesky elf is already getting up to all kinds of mischief! Here are some of his shenanigans so far… but we know there is worse to come! If you’ve got any suggestions on what our cheeky chap should do next, comment and let us know… Although we can’t promise he will behave!